4th Stage of World Cup – International competition «Cup of Information Technologies» was held from 14th August to 19th August, 2016 in Kazan (Russia). 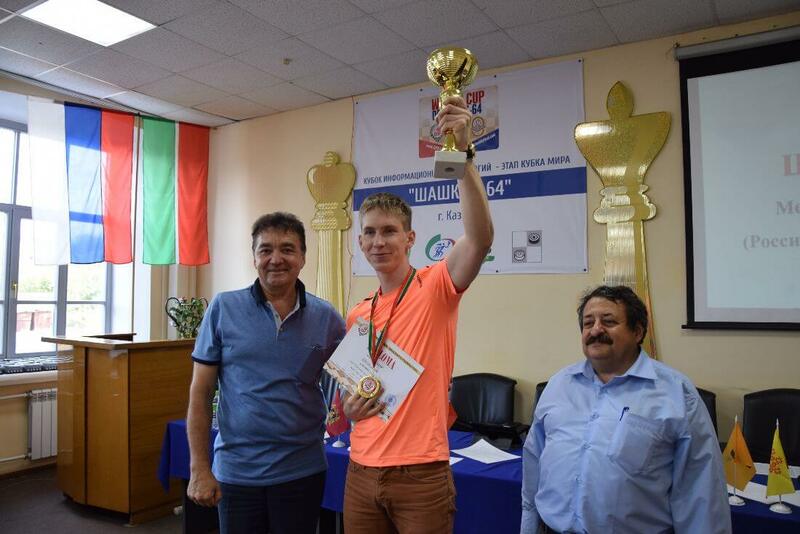 International grandmaster, world champion Sergey Belosheev became the winner of the Blitz program. International master Denis Shogin from Kazan won classical program. 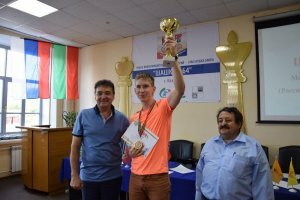 Published report of the organizer of the 4th stage of the World Cup, an international grandmaster Dmitry Tsinman. International Draughts Federation IDF in accordance with the Calendar of the competitions in 2016 holds 4th Stage of World Cup 2016 in draughts-64 – International competition «Cup of information technology». Competitions are held from 14th August (the day of arrival and Blitz) to 19th August, 2016 in Kazan (Russia), at «TSSDYUSHSHOR of R.G.Nezhmetdinov» (Butlerova street, 7) – in front of the Kazan State Financial and Economic Institute. All participants must register and pay tournament fee 14th August from 9:00 to 14:30 in the «TSSDYUSHSHOR R.G.Nezhmetdinov» After that time players who not registered to participate in the tournament are not allowed. Competitions will be held on the Swiss system according to the IDF rules. Number of rounds is 9. Time control is 20 minutes till the end of the game + 5 seconds per move for each participant. Places of participants are determined by the highest number of points. In case of a tie the additional criteria are as follows: 1) Buchholz coefficient; 2) Berger’s coefficient; 3) progress coefficient. Blitz is held in two stages: on the 1st stage will be held tournament on Swiss system in 9 rounds; on the 2nd stage 6 best players taking into account the score from the 1st stage played a round robin tournament in 5 rounds by the system of micro-matches from 2 games with the draw of the first move of white and black. Time control: 3 minutes + 2 seconds per move for each participant before the end of the game. Places of 6 best players are determined by the sum of points obtained in 2 stages. In case of equality the advantage gets player who take the most points at the final stage. Places the other participants are determined by the number of points scored in the 1st stage. Additional criteria are: 1) Buchholz coefficient; 2) Berger’s coefficient; 3) progress coefficient. 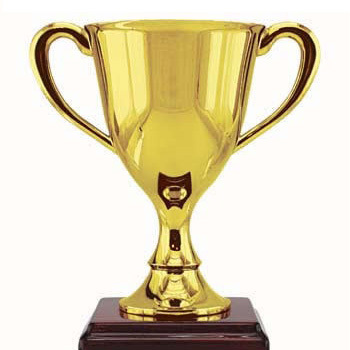 Participants of the tournament receive points in the overall World Cup standing according to the Rules of the World Cup 2016r. 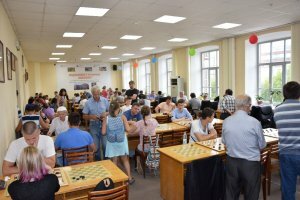 The prize fund is formed from money of the Draughts Federation of the Republic of Tatarstan (not less than 50,000 rubles) and 50% of the tournament fees. 50% of the tournament fees go to the tournament costs. About the final size of the prize fund and its distribution will be communicated to participants prior to the start of round 3. Main referee – a judge of national category A.A.Goloyan (Russia, Bryansk). Protests against decisions of main referee must be submitted in writing to the chairman of the Appeals Committee within 30 minutes after the round. The appeal shall be accompanied by a pledge of 1 500 Russian rubles. If the protest is upheld, the applicant returns the full deposit amount. If the protest is rejected the deposit amount is sent to the prize fund. The decision of the Appeals Committee is final. 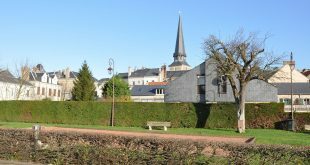 Requests for accommodation must be submitted to 25th July 2016. 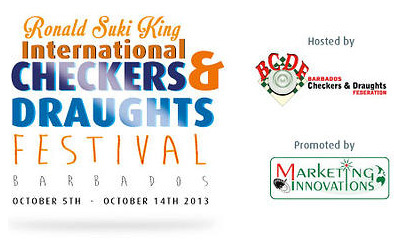 After that date the tournament committee does not provide reservation of seats to accommodate the participants. – for other participants – 2 500 rubles. 19-08-2016 The 4th stage of World Cup 2016 – International competition “Cup of Information Technologies” won International master from Kazan Denis Shogin. Denis Shogin and Dmitry Tsinman came to the finish with the same result – 7 points out of 9 possible, but additional criteria was the best for Denis. Bronze winner of the competition became an International grandmaster Gennady Shapiro from Germany, who scored 6.5 points and by additional criteria ahead of the current world champion, International grandmaster Sergey Belosheev and master of sports of Russia Artem Ageykin. Yeldyz Gataullina from Kazan became the best among women and Mikhail Semenyuk from Belarus became the best among youth. 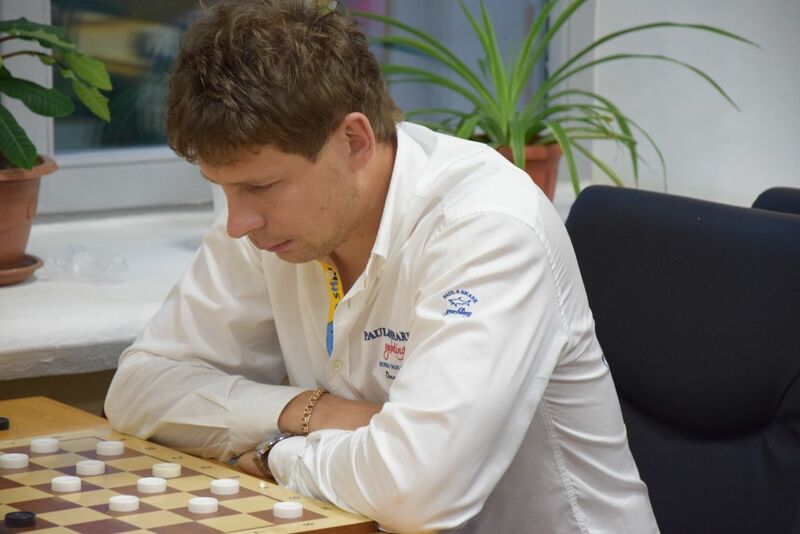 18-08-2016 Before the last round with a score of 6.5 points is still leading International master Denis Shogin from Kazan. 4 participants have 6 points: the owner of the field Dmitry Tsinman from Kazan, the world champion Sergey Belosheev (Evpatoria, Crimea), Sergey Minin from Moldova and Gennady Shapiro from Germany. 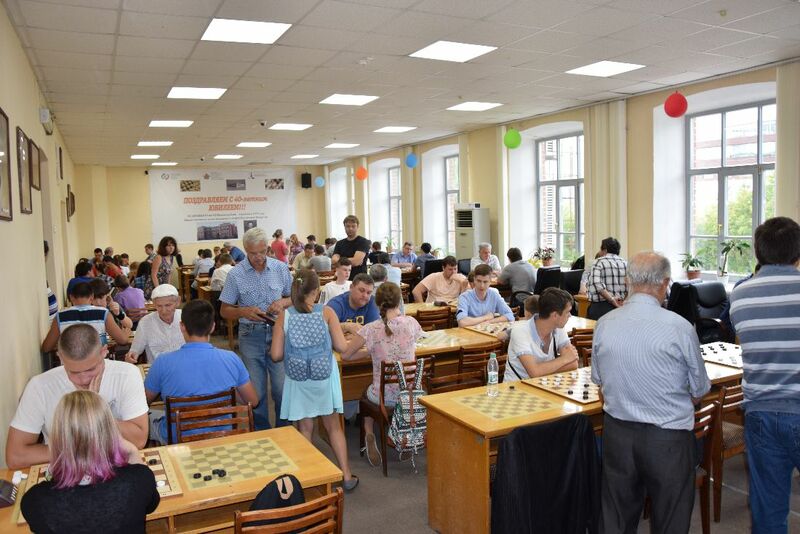 The winners of the final round of the tournament are determined in the following pairs: Gennady Shapiro – Denis Shogin, Sergey Minin – Dmitry Tsinman, Sergey Belosheev – Eugene Kondrachenko. 17-08-2016 After 6 rounds with a score of 5 points alone lead International master Denis Shogin from Kazan. 4,5 points have 7 players: Dmitry Tsinman from Kazan, Artem Ageikin from Nizhny Novgorod, Evgeny Kondrachenko and Mikhail Semeniuk from Belarus, world champion Sergey Belosheev (Evpatoria, Crimea), Sergey Minin (Moldova) and Gennady Shapiro from Germany. 16-08-2016 After 4 rounds whole struggle is still ahead. With the result of 3,5 points lead Sergey Belosheev, Denis Shogin, Sergey Minin and Artem Ageikin. A group of 9 people has 3 points. 15-08-2016 Classic program started. 63 players from Armenia, Belarus, Germany, Israel, Moldova, Uzbekistan, Ukraine, and Russia. See current results. 14-08-2016 Opening ceremony and Blitz was held today. The tournament was attended by 73 player from 11 countries: Armenia, Belarus, Germany, Israel, Moldova, Slovakia, Uzbekistan, Ukraine, Sweden, Switzerland and Russia. Competitions were held in two stages: on the first stage participants competed on the Swiss system in 9 rounds, and then the 6 best considering of revealed points determined the strongest in the round robin in 5 rounds. The winner of the Blitz become current world champion, International grandmaster Sergey Belosheev (Russia, Republic of Crimea). He collected 11 points from 14 possible. Silver medal was won by grandmaster Dmitry Tsinman (Russia, Tatarstan). 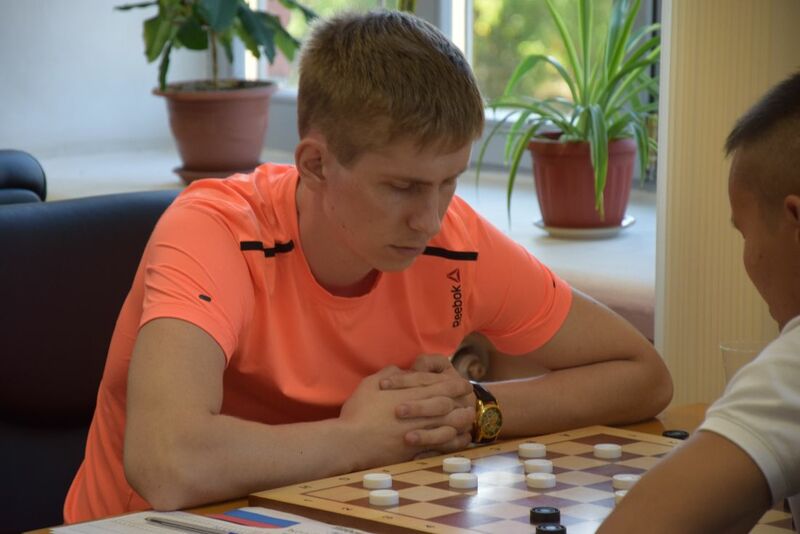 He scored 9.5 points and by additional criteria ahead of International grandmaster Eugene Kondrachenko from Belarus. and other leading players from Israel, Moldova, Turkmenistan, Uzbekistan, Armenia, Sweden, Switzerland and Russia.